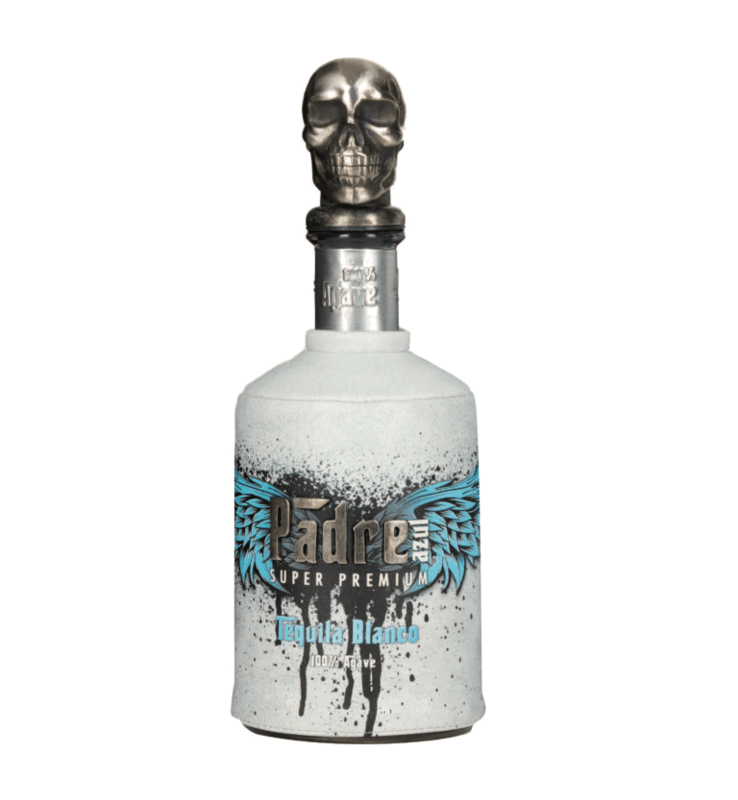 Padre Azul is a new brand of tequila with an odd heritage. The story goes that an Austrian schnapps distiller named H.P. Eder married a Mexican woman, and Eder partnered with his wife’s father to craft a tequila in Jalisco. Launched with the intent of bringing 100% agave tequila to Europe, where tequila isn’t nearly as popular as in the States, it’s made from Lowlands-grown agave and is available in all three major varieties, plus a cristalino expression. One can’t get far without discussing the packaging. The bottle is clad in a white leatherette getup that’s laced together in the back, giving it a bit of an appearance of a lucha libre, or perhaps a blanco gimp suit. The enormous stopper is in the form of a giant metallic skull. Those wishing to make a statement (what kind of statement, I can’t be sure) needn’t even bother opening the bottle. But open it we did, and the results were even more eyebrow-raising. Note that we tasted only the blanco expression. Thoughts follow. The nose is quite fruity, full of notes of lemon and orange oil, with a heavy herbal component underneath. Sharp but clean, the nose offers a significant amount of alcohol up front, though this blows off with a bit of time in glass — so give it a few minutes to rest before tucking in. The palate sees ample pepper and spice, but these notes are well integrated with the fruitier elements of the body, which aren’t insubstantial. There’s a certain sweetness here that is both a companion to and a foil against the spicy pepper notes, and over time this starts to wear on the palate, becoming a bit cloying after awhile, particularly on the very sweet finish. While the tequila is approachable and actually quite engaging at the start, by the end of my sampling I was imagining simple syrup spiked with Tabasco.